One of the signatures of Haute Horlogerie star arrived in Spain from the hand of the families of jewelery tradition Grau and Rabat. GR Barcelona, jewelry reference in Diagonal, recently announced that it will handle the exclusive distribution for the entire Spanish territory’s signature fine jewelry and watches American, Harry Winston. GR Barcelona meet in a unique selection of jewelry and watches exceptional. The largest companies have a unique setting to show off their collections. From the experience of the two families jewelers Grau and Rabat, GR Barcelona believes personal attention with designs inspired by creativity and high quality products. Special importance will be the great technical service shop will have all the necessary resources to provide the best quality and professionalism in the technical treatment of each piece. Harry Winston, the company’s founder, dedicated his life and soul to the beauty moving, making your work philosophy and style excellence. The American brand was born in the hands of a multifaceted man: a gemologist, businessman, philanthropist committed, a jeweler to the stars. 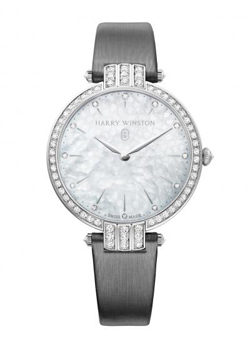 Harry Winston was the first jeweler to establish a relationship with the movie stars in 1943, when Jennifer Jones wore a classic cut diamonds in that year was awarded the Oscar for Best Actress. Since then, there have been numerous occasions when Harry Winston has been featured on the red carpet of international awards including the Golden Globes, the Oscars, or international premieres of films with stars like Diane Kruger, Sandra Bullock and Michelle Williams, Scarlett Johansson, Sofia Vergara or Natalie Portman (pictured above). The jewelry firm of stars now reaches for the hand of Barcelona Barcelona GR with its collections of high-precision watchmaking, innovation and design for men and women most representative of the firm. On the azure coast of the recorded series of abductions of hours!